Occasionally, you may find yourself not quite finished with the latest Orange is the New Black season, and nowhere near a Wi-Fi connection. But that problem is about to disappear forever. Soon you'll be able to binge watch any time and anywhere -- all without Internet. 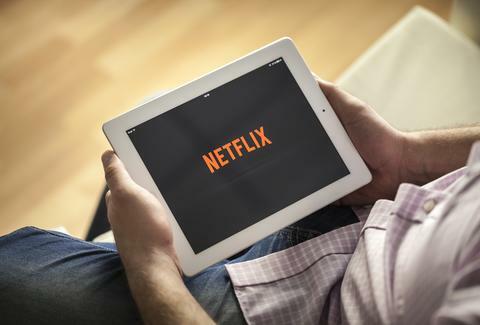 According to a report by Light Reading, Netflix is moving to roll out a feature that'll allow users to download content to watch whenever there's no Internet around. This is based on the words of the COO of Penthera, a streaming software development company, Dan Taitz, and the additional insights of Frost & Sullivan Principal Analyst Dan Rayburn. Taitz told Light Reading, "We know from our sources within the industry that Netflix is going to launch this product. My expectation is that by the end of the year Netflix will be launching download-to-go as an option for their customers." That sounds promising, and was seconded by analyst Dan Rayburn who stated, "It's a natural progression for Netflix to want to have some of their content available for consumers to watch offline, and we've been hearing for months now that they are in fact going to roll something out soon." However, when reached for comment, Netflix declined to expand on the possibility of offline capability. Still, the move wouldn't be surprising given that Amazon and Comcast offer similar services. Of course, in the case of Netflix, offline mode would most likely be limited to Netflix originals for a while, as studios would have to OK the process before allowing users to access their content in this way. But hey, that still means more OITNB more of the time. And that's a good thing. Kara King is a News Writer at Thrillist and the Wi-Fi signal in her apartment is kind of lame. Send news tips to news@thrillist.com and follow her at @karatillie.